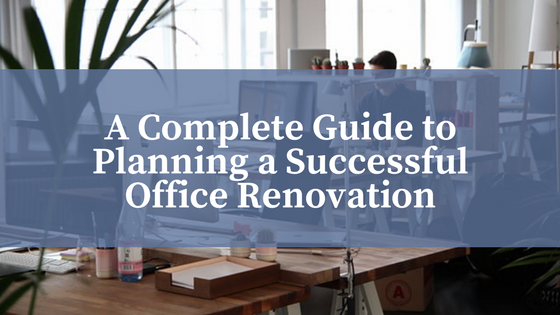 Considering an office renovation is an exciting time for any business. It means a fresh start, a revitalized identity, and an updated aesthetic that’s sure to impress your clients, customers and guests. It’s often an easy decision to begin a much-needed office renovation, and our minds immediately conjure up imagery of chic and modern spaces that have employee satisfaction and productivity in mind – it’s all part of a very alluring prospect. 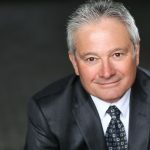 But before you can begin tearing down walls and thinking about paint colours, there’s a lot to consider; from finding a suitable contractor with an eye for efficiency and style, to considering the psychology of established office design, to minimizing the impact on your staff to eliminate potential downtime. The decision to renovate the office may be one that stems from a good-hearted nature, but the realities of construction are much romantic than we’d like them to be. As they say, the best offense is always a good defense – and as such, a good plan is the best way to begin tackling your office renovation ideas. Before construction can begin, there’s a lot to think about. Luckily, that’s our expertise. In this post, we’ll help you plan an extensive and successful office renovation by considering everything from the design-build mantra, to Eco-friendly design features, to colour theory and modern design trends geared at maximizing space. The first step to undertaking an office renovation project is deciding first and foremost what type of office you want to build, and what pitfalls you’d like to eliminate, or avoid. This can mean a complete office overhaul from the ground up, or a simple refresher of the waiting area or lobby. Before you begin planning, take a moment to ask yourself if this renovation is going to make sense financially, and emotionally – is it going to make a difference in the way your business tackles the daily grind? Are you interested in renovating to increase company morale and employee happiness, or to take advantage of an emerging design trend that has helped other organizations to achieve their growth and business goals? Assess the existing space and begin tallying up some basic measurements, brash design ideas, and where the space could stand to improve. Identify why you’re interested in making a change to the physical office space and go from there. Choosing who is going to be responsible for the physical manifestation of your new office renovation is arguably one of the biggest decisions you’ll be faced with. You should be looking for a contractor with a proven track record of success, customer satisfaction, innovative thinking, and someone who invests their time into staying atop emerging design trends and ideas. The design/build model is an incredible strength that helps you to streamline your renovation process by dealing with one agency – not 3 or 4 who are subcontracted by your main contractor. Your contractor shouldn’t just be in charge of building your vision – the design/build mantra allows them to be a collaborative force that helps you to make better design choices. A contractor should be an active participant throughout the entire process, and should communicate and present you with accurate budgets, design drawings, and reports on progress. At the end of the day, it’s important to know that your contractor is as excited about the project as you are. Renovating an office isn’t as straight-forward as it once was. It’s more than a coat of paint and some new office furniture – there’s an entirely new realm of office design that focuses on innovation and progressive ideas to help workspaces maintain a grasp on the modern business environment. Further, acknowledge the fact that there’s no right or wrong answer to your design woes – today’s office structure is all about multi-function rooms, dual-purpose designs and open-ended spaces that allow employees and clients to interact in a plethora of ways. One of the inherent perks of a successful office renovation is increasing the value of your property. When you undertake a construction project you’re investing in your space – it’s as simple as that. This could be a precursor to selling your space, renting it out to an intriguing startup, or building a collaborative space geared at freelancers, remote workers and/or writers. Improve the curb appeal and exterior by upgrading windows, signage, and landscaping efforts. Beef up the structural integrity of the space by having your contractor assess for damage and general degradation. Pay close attention to foundations, roofs, and insulation to address potential leaks, and energy efficiency. Consider increasing parking capacity, square footage, and security so you can justify a jump in rent costs for incoming leaseholders. If you’re planning to renovate while your space is still full of employees, minimizing and eliminating occupational downtime is key to helping you maintain a schedule and sense of time management. Renovations can be messy, dusty, and noisy undertakings, so alerting your tenants or employees of an impending construction zone is paramount to maintaining an open and transparent working relationship. Make an appointment with your tenants or call a staff meeting to discuss what kind of impact major construction may play on the office environment and productivity. Collaborate with your employees to work out a plan to counteract the effects of working in an active renovation site. Perhaps there is a better time to tackle this project if there are major looming deals and business plans that should be completed first. Managing your traffic is second to implementing a downtime plan. Occupational hazards and employee safety are critical, so be sure to address issues of mobility at work and use signage that addresses caution areas, restricted area, temporary entrances and exits and any potential dangers that come with being near a work site. The mess of a renovation site may also impede productivity or morale. Speak with your contractor about maintaining a tidy and spotless work site if at all possible, and ensure that daily clean-ups are a part of their plan. Taking these steps will greatly improve your chances of not only completing an efficient and beneficial renovation to your existing office space, but will give you peace of mind knowing that you’ve weighed out all the advantages and disadvantages of beginning a laborious task like a major renovation. When you’re able to place trust in your contractor/design team, renovations can maintain that sense of excitement and anticipation we often feel when the idea first sparks. At Fuhrmann Construction, we’re always looking to build meaningful relationships and deliver professional, awe-inspiring results.